Hey Family, yes it’s that time of year again. 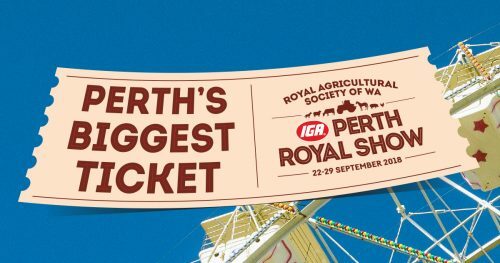 Can you believe The Royal Show is back already? It feels like only the other day we were walking down Side Show Alley, eating a Dagwood Dog, watching the wood chopping and hunting for the best showbag. A Day at The Show is a lot of fun, but we all know it can be an expensive day. So we’ve got you covered! You can win a family pass AND showbag vouchers just by listening all week! Listen out for our “Best in Show” game, ring up the studio when you hear the call out and play for your chance to win. We’ll put 10 seconds on the clock and all you have to do is say a randomly generated, royal show themed phrase as many times as you can and hopefully beat the other listeners who have called up. Easy as! Find more info on all the Showbags you can get here. Perthpropertyopoly: Play to win $100 instantly!